Some cola drinks act like thugs. They prance into your party, they rough up the flavor of your snacks and they just leave you with a bad taste in your mouth. 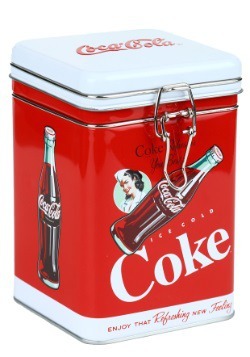 Not Coca-Cola. 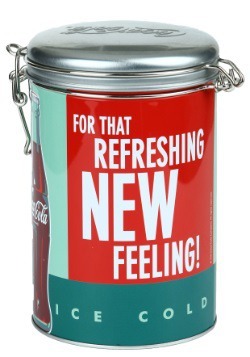 Coke distinguishes itself from those uncouth generic colas. It gently tickles your taste buds at the movie theater. It heroically helps you wash down a nice hot slice of cheesy pizza. It quenches your thirst at the beach. Yes, Coca-Cola truly is the tuxedo of all soft drinks and now, you can enjoy it by drinking it out of this collectible glass! 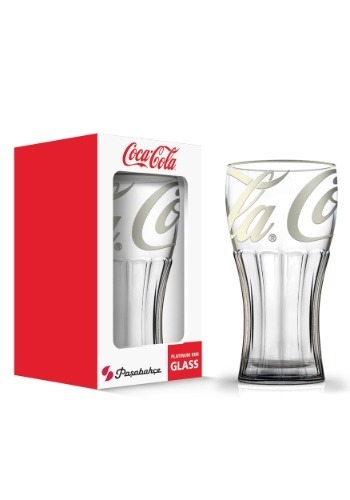 This Coca-Cola Platinum fountain glass holds 12 oz. of delicious liquid. It has a pleasing curvy shape and grooves along the sides. 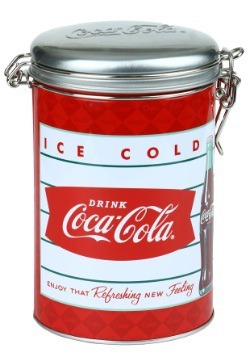 Of course, you could put water or other soda pops inside of it, but it truly is the best when you pour yourself a full glass of sweet, sweet Classic Coke or Diet Coke. Just remember to get that pizza ready to pair with it!